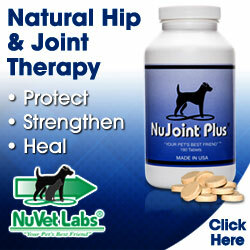 NuVet Labs’ Goal is to Help Increase Your Pet's Longevity and Quality ofLife. We love animals and we know you love them too! Unfortunately, the majority of dogs and cats are not receiving a complete, healthy diet, and many become ill and die prematurely. 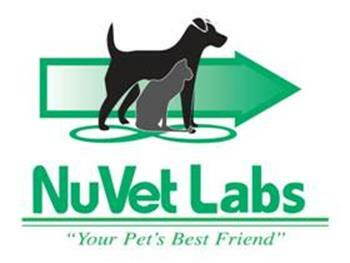 The NuVet Labs® mission is to help increase your pet's longevity and quality of life. NuVet Plus® for Canines and NuVet Plus ® for Felines, provide the very best human-grade, naturalingredients available and utilize the latest advances in medical, veterinary,and nutritional science. NuVet pledges to adhere to the highest standards in products and services. NuVet’s goal is to maintain a lasting and caring relationship with its family of NuVet Plus customers and the pets they love! Basset Hounds have been known to suffer from what is called "PANO" it is fully unclear as to the cause of this but it can be very debilitating to the Basset when it occurs. I have heard from not only my own puppy families but from other Basset Breeders that the NuJoint DS has stopped all episodes of Pano since started on. This is remarkable and I am recommending anyone with a Basset Hound who has experienced Pano to please try the NuJoint DS!! Saving JUST ONE major trip to the vet could pay for more than a lifetimesupply of NuVet Plus! 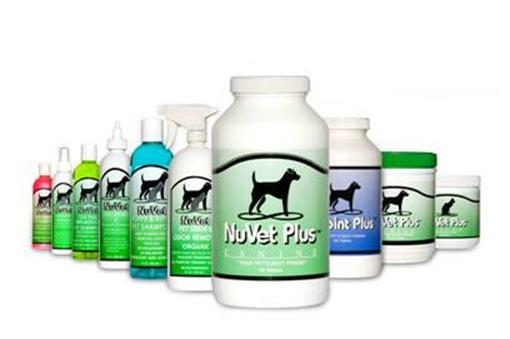 The AutoShip program allows you to receive a 15% discount on NuVet Plus®. AutoShip is an automatic refill of your NuVet Labs® supplements;the shipping frequency is calculated according to the number of pets you have and how many supplements they each receive per day. You will continue to receive the discount for as long as you stay on the program,and you may cancel at any time, for any reason, with no cancellation fees or penalties. "I have a 5 year old Goldendoodle that I adore and will do whatever it takes to see that she lives as long as possible… I have not had to take my dog in for any ailment whatsoever since the day I got her at 8 weeks old. My vet is amazed at Easton's track record and thinks the proof of the effectiveness of the supplements is in the level of health she has maintained for 5 years straight."